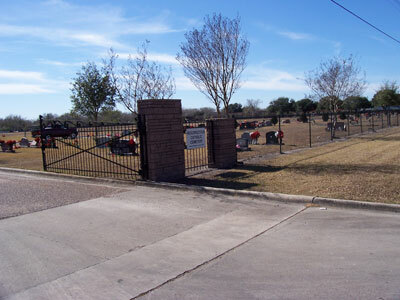 Resurrection Catholic Cemetery is one of the original Catholic cemeteries in Victoria Texas, and is maintained by Catholic Diocese. At McAdams Floral, we specialize in meeting your floral needs during this difficult time. Our knowledgeable staff is ready to assist you in selecting your sympathy tribute arrangements. There are many styles of sympathy designs, using both flowers and plants, that will be tasteful and appropriate in expressing your condolences. Over the years, we have developed an excellent working relationship with Resurrection Catholic Cemetery and all area funeral homes, and are fully aware of their delivery policies. McAdams Floral is dedicated to making your final tribute selection both personal and memorable.